Kobe Bryant has become the youngest player in NBA history to eclipse 30,000 career points and only the fifth overall to hit that mark. 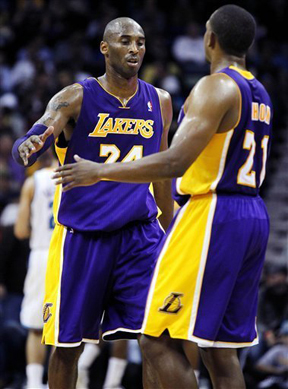 Bryant entered the elite scoring club during the first half of the Los Angeles Lakers’ game against the New Orleans Hornets. He arrived in New Orleans 13 points short, and scored his 13th and 14th points on a short jumper with 1:16 to go in the first half. Because the basket came in the flow of play, there was hardly any reaction on the court as Bryant and his teammates ran back on defense. Bryant is 34. Wilt Chamberlain was 35 when he hit the mark, Kareem Abdul-Jabbar and Karl Malone were each 36 and Michael Jordan was 38.